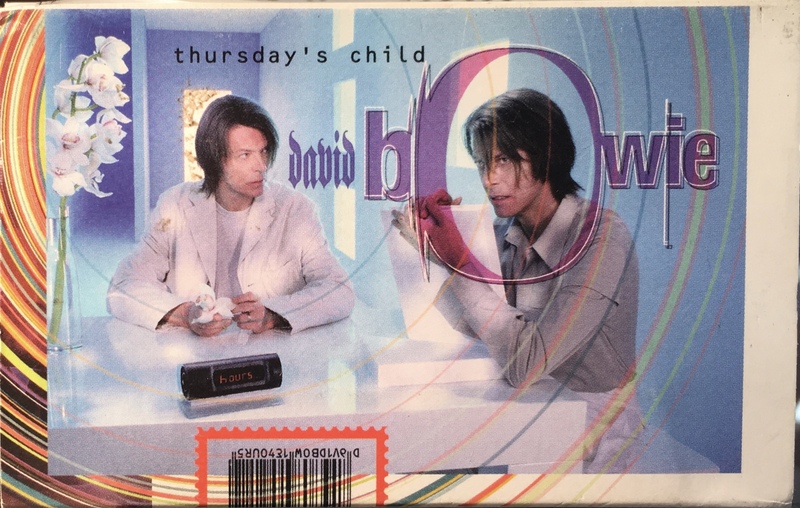 Thursday’s Child: UK; Savage/ BMG, VSC1 1753/ 7243 8 96265 4 4; 1999. Card slip-case; picture front and rear panels with white spine. 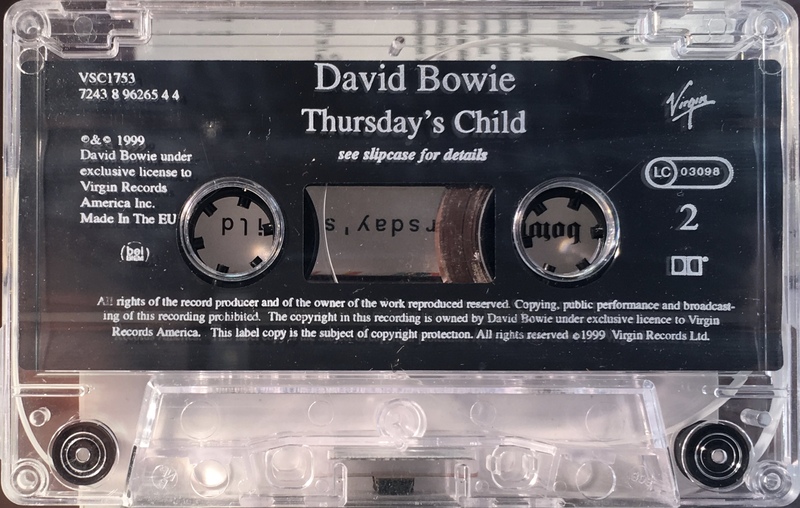 Track list on rear panel. The rear cover has a barcode and the ‘Virgin’ logo is on the spine. VSC1 1753 is the UK catalogue number. White ink printed directly onto clear shell with plain slip sheet and ‘Virgin’ logo and ‘bel/BIEM’ rights on shell. All information in English and ‘Made in the EU’. 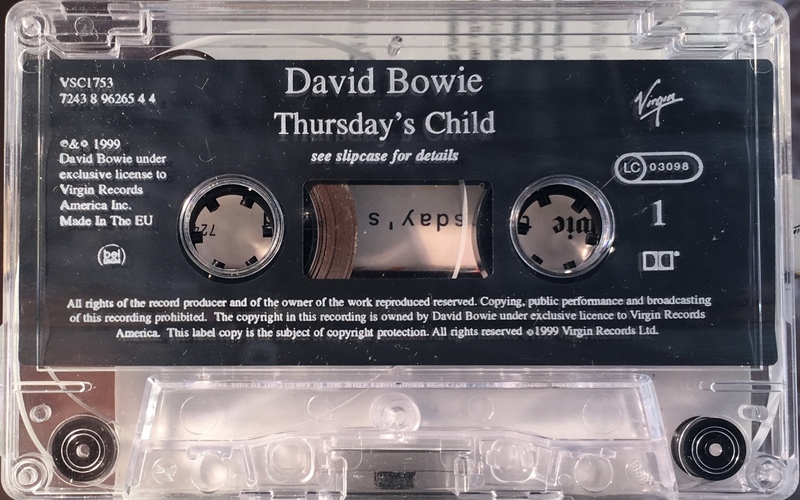 Side 1: Thursday’s Child (radio edit)(4:25); We All Go Through; No One Calls. 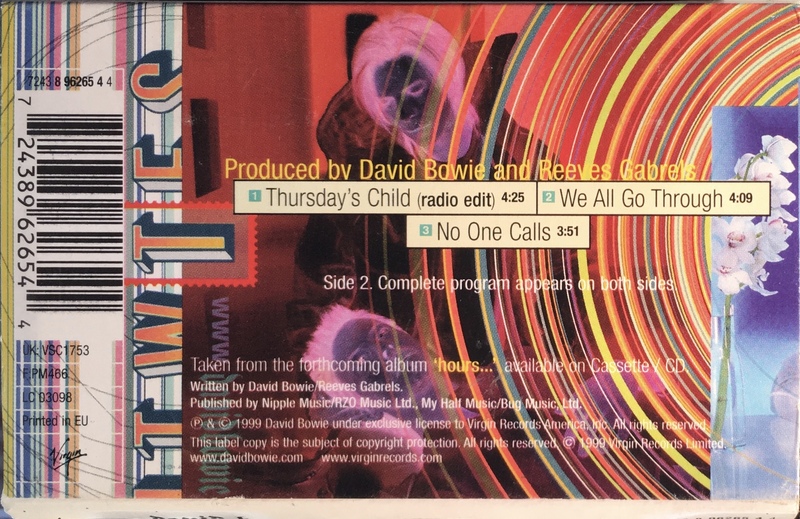 Side 2: Thursday’s Child (radio edit)(4:25); We All Go Through; No One Calls.